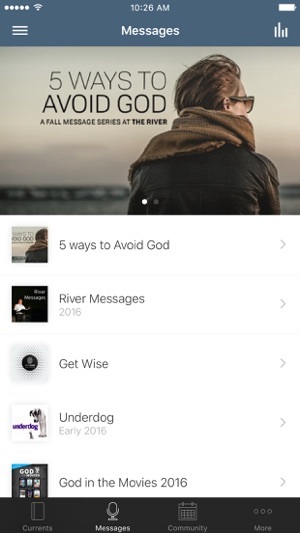 Welcome to the official River Community Church app! This App contains all the things you need to help you thrive as part of our community. Listen to messages you've missed, check on upcoming programs and get weekly reminders about upcoming community events! You can even give your donations easily through the online giving section. 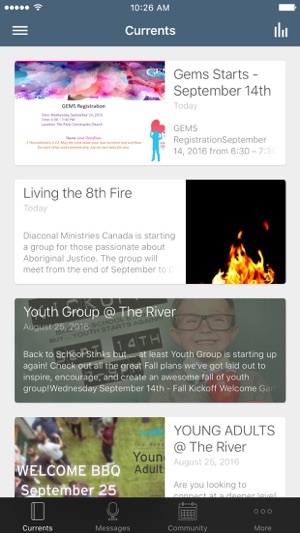 The River Community App was created with the Subsplash App Platform.